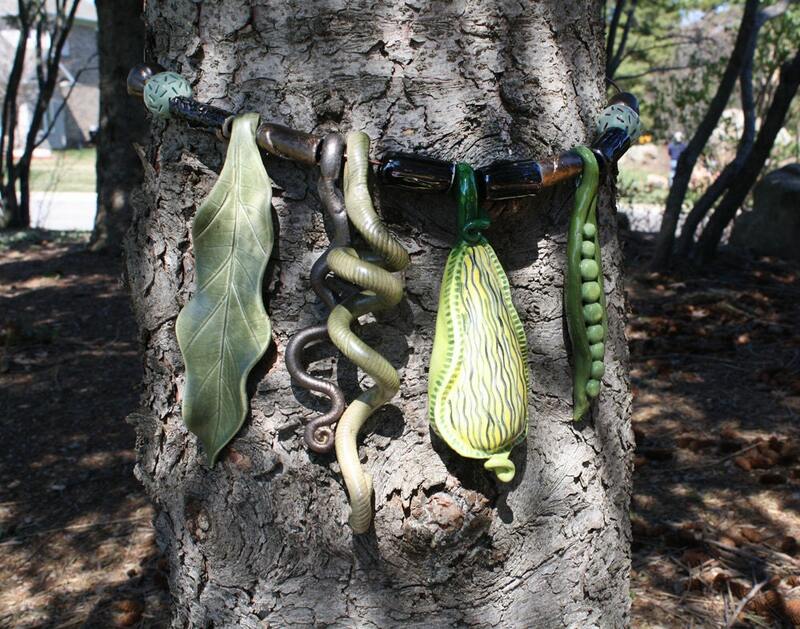 If you are looking for some creative accents for your garden, Etsy is a great place to start. Chances are, the hard part is choosing. 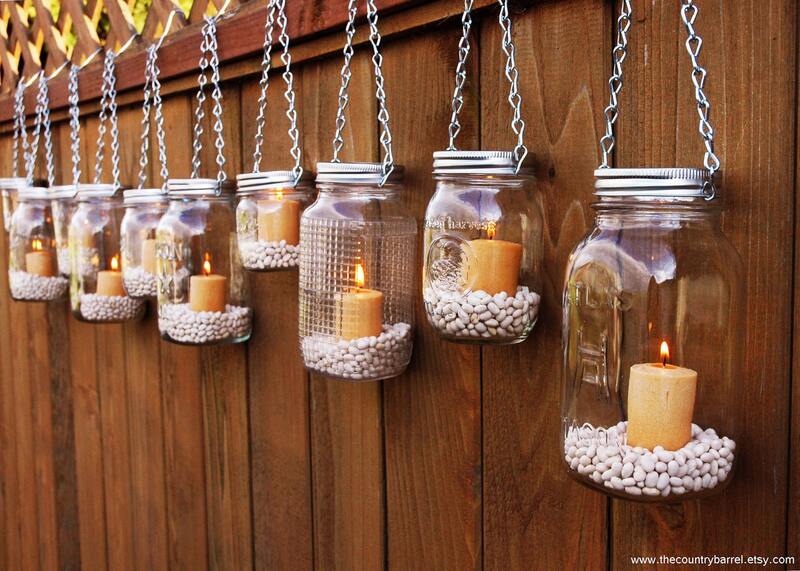 Seems mason jars are everywhere these days. Who doesn’t like their practical, simple appeal? 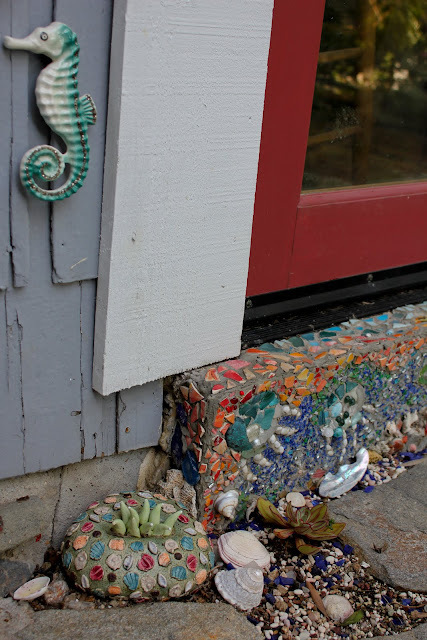 I like that you could improvise these homemade lanterns from TheCountryBarrell with your own sea shells, sea glass, favorite stones, old photos, or trinkets. Set of 10: $60. 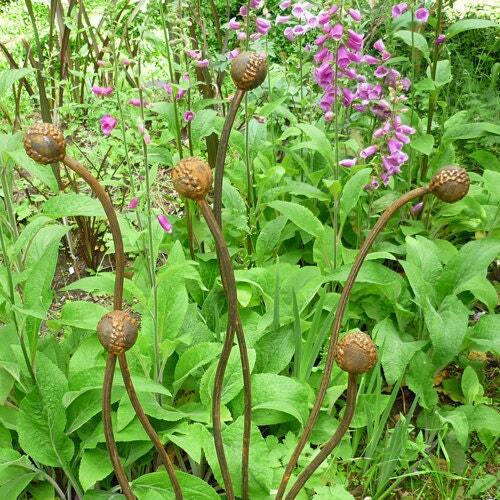 Not cheap, but these allium garden stakes by ContemporaryMetal are as much sculpture as they are supports. Almost $200, not including shipping from the UK. 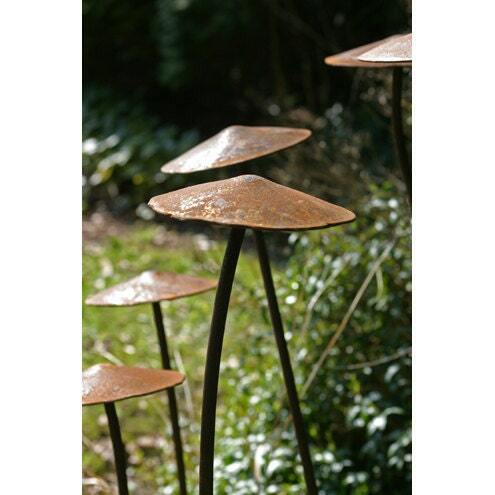 But if you love these, check out their similar ‘shrooms they call Ferrous Fungi. 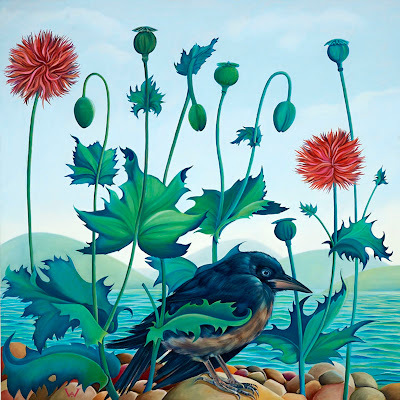 As a birder, I’m not supposed to like crows or ravens. But I love them. 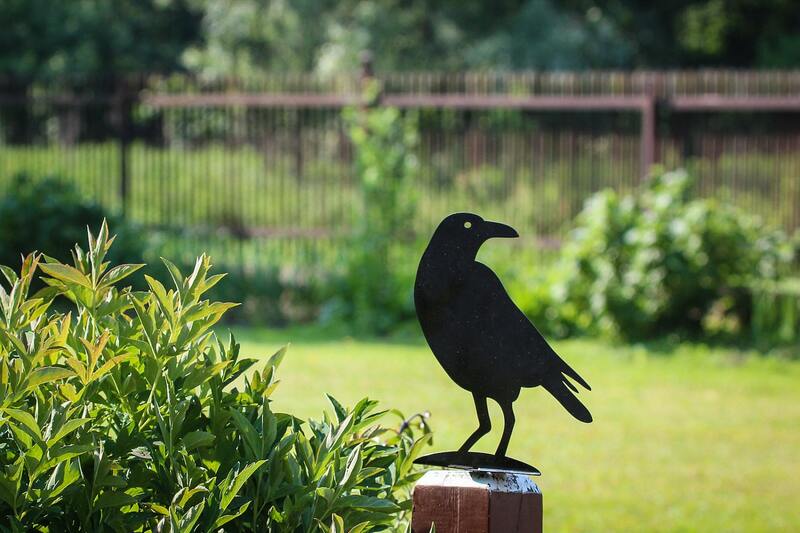 This is a metal crow silhouette that serves as a scarecrow to unwanted guests in your garden by DesignAtelierArticle. About $24. 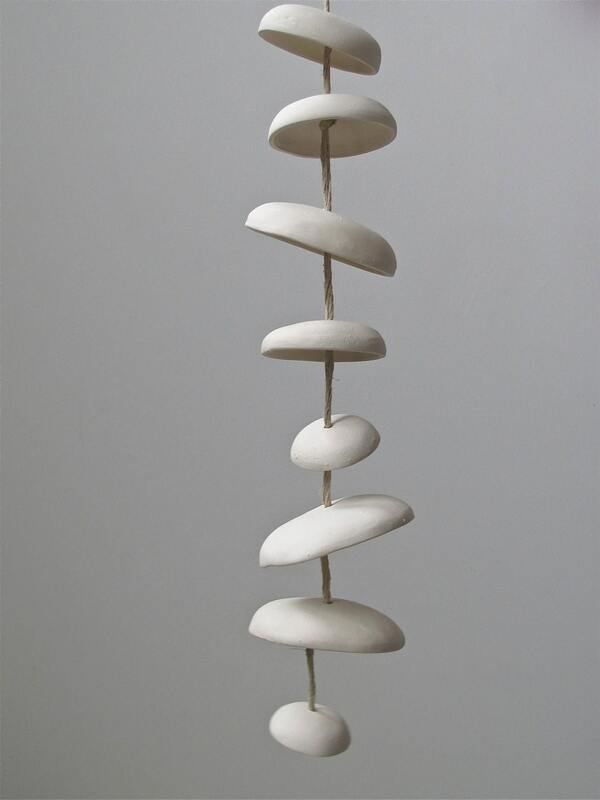 I believe I featured these in a previous post many moons ago, but I’m just a sucker for the simplicity of these MudPuppy Moon chimes. I’m not over the moon on the price, though. $68. Really? 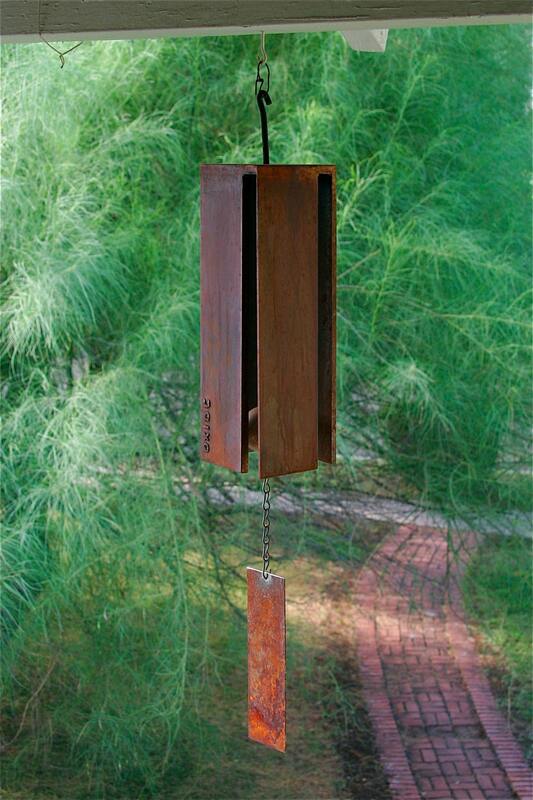 How about this oxidized steel chime from The Oxide Studio? This price seems quite fair: $70. 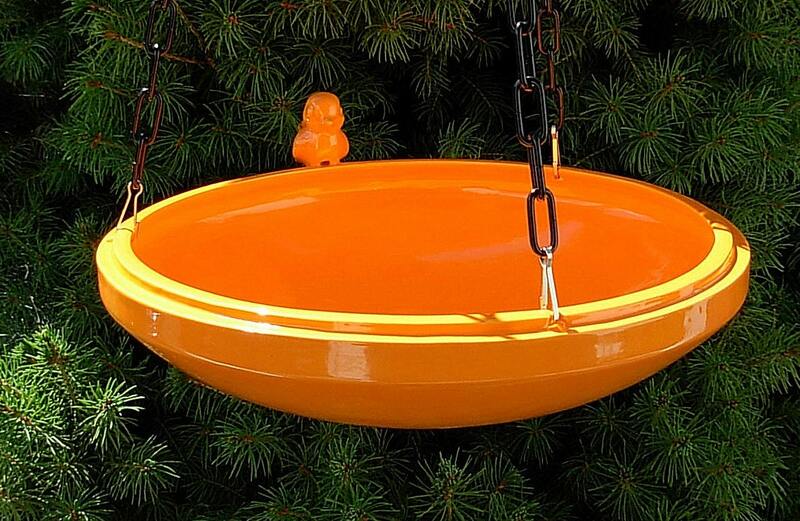 This artist from CeramicsByLisa uses vintage molds to make these ceramic modern bird baths. She also has some cute, orb-shaped bird feeders. Available in many retro colors. Face it. 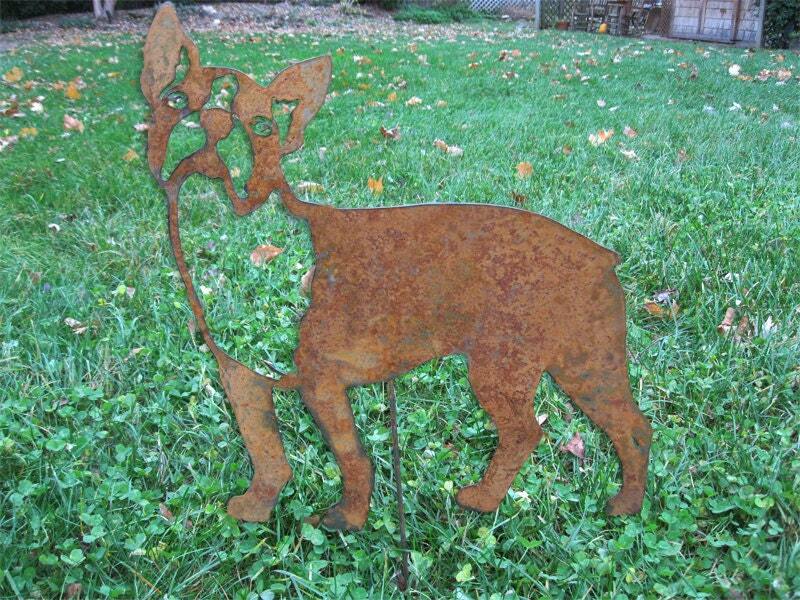 If your favorite pet was a Boston Terrier, you would love this decorative garden stake. Check out RusticaOrnamentals and see if they have your pet–anything from a Golden Doodle to a miniature Doberman–or another favorite image you might love. Tree bling? Kind of cool organic, ceramic forms from MonikasPottery. For some reason, I wonder if trees don’t appreciate being wrapped up. I know they must hate those knitted pieces. 10 for $60? the site said 6 for $24 or did I miss the deal u saw? the idea is cute. Seriously, is Etsy the greatest thing on Earth, or WHAT? I seriously could spend hundreds of thousands of dollars there. Daily. 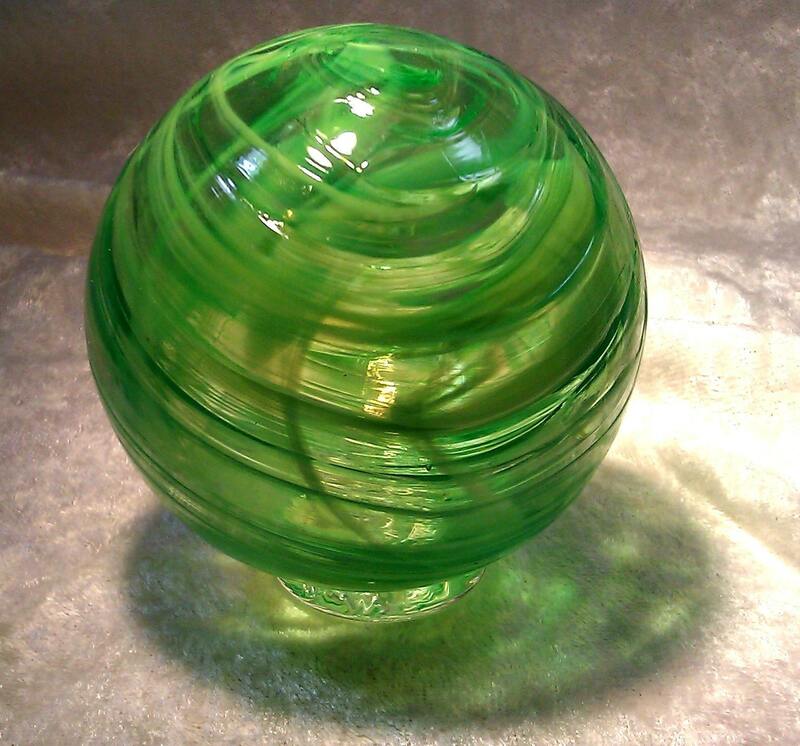 I just bought a vintage Fisher Price light up globe for $20!!! And Im currently obsessed with hand-knitted wash cloths from this one woman. I buy 8 a month and send them to friends. I want that orange feeder.